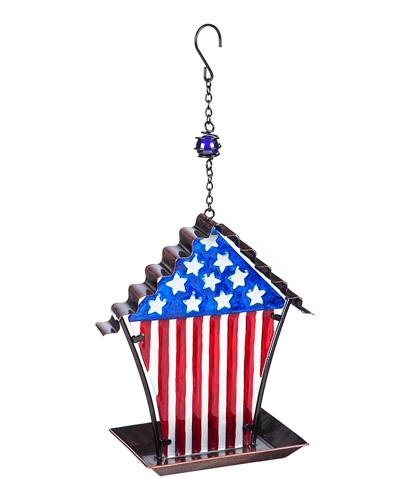 The Americana Tray Bird Feeder is shaped like a house with a wavy roof and an Americana red, white and blue design. It holds about 1 cup of seed and has a tray for the seed. 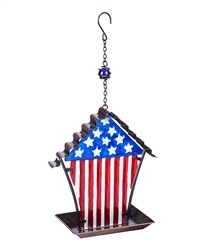 Hangs easily from a durable metal chain and S-hook. Made of glass and metal.